Apr 15, 2019 / WORDS Jack Holt / Newcastle outfit Eat Your Heart Out have released the second track of they’re debut album entitled Florescence. After the release of single Carousel’s circus themed video, Eat Your Heart Out have treated us with new single Spinning and a release date for debut album Florescence. Spinning, the second track off their debut album, features lyrics about vocalists Caitlin Henry’s experience with the mood swings of people close to her. 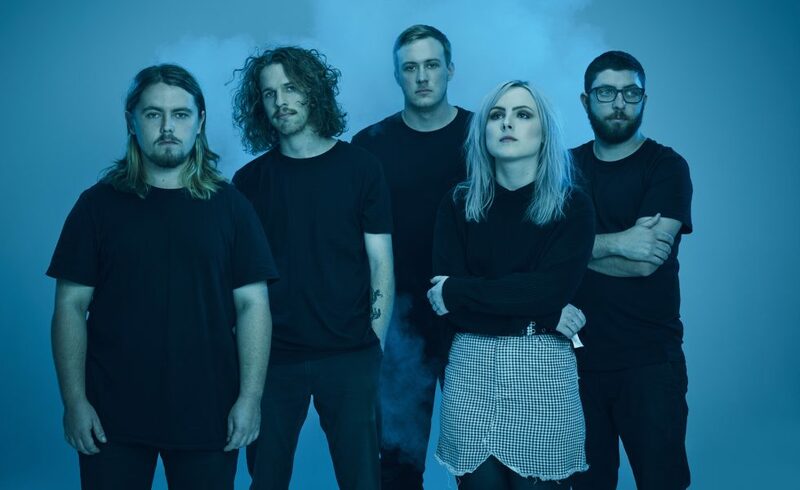 The single evokes these feelings with its use of a middle section which reverts to melodic guitar line and Caitlin’s vocals forefronted, contrasting with the previously riff driven track. Set for release on May 17, Eat Your Heart Out’s debut album Florescence artwork and track listing has been released in anticipation of its release. Florescence’s title is in reference to flowering and developing, a theme which runs through the albums tracks like Carousel and Spinning. “I felt like I grew up a lot in the last year, in an emotional sense, and I learned how to deal with these kind of experiences in new ways,” Caitlin Henry said. Eat Your Heart Out previously shot to the public’s attention with their EP’s Distance Between Us and Mind Games featuring elements of grunge, emo and punk all tightly encapsulated in a pop sensibility. Florescence will be released via Caroline Australia and Fearless Record, pre-order here now.